When I know it’s going to be one of those days and we all are going from one thing to the next, this is one of my go-to dishes. All of the ingredients are on my Staple Ingredients list so I always make sure to buy these weekly. And can I say how great it is to have grocery delivery where I live! Yes! I hope you have this available in your area. Chicken cutlets are the best! Someone already has spent the time to pound the chicken breasts to make them thin, so you don’t have to. Yay! 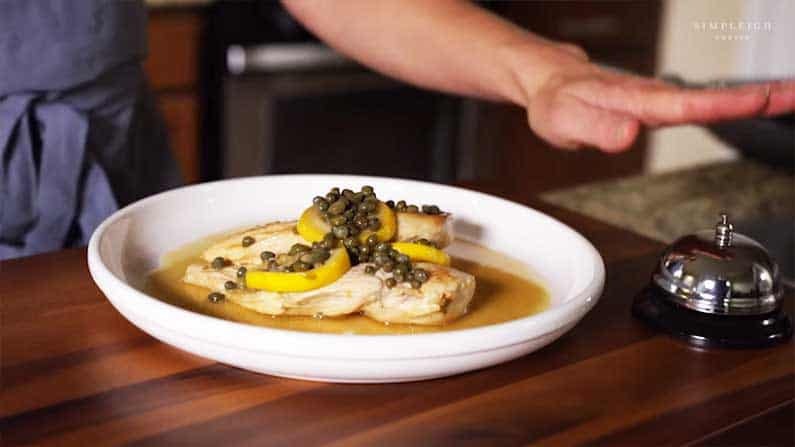 Chicken cutlets with lemon, capers, white wine, butter and olive oil. That’s it! In a hurry? It’s just six minutes per side in the skillet. Easy! Sounds delicious and very east, definitely going to try this? Barbara, I hope you had a chance to make this delicious soup! Snap a photo when you do! 🙂 Thanks for watching/subscribing!